(ANSA) – Farindola, January 23 – Three puppies were found alive in the rubble of the avalanche-hit Rigopiano Hotel in Abruzzo Monday. Their parents, Nuvola and Lupo, escaped the hotel’s collapse and came downhill a few days ago. 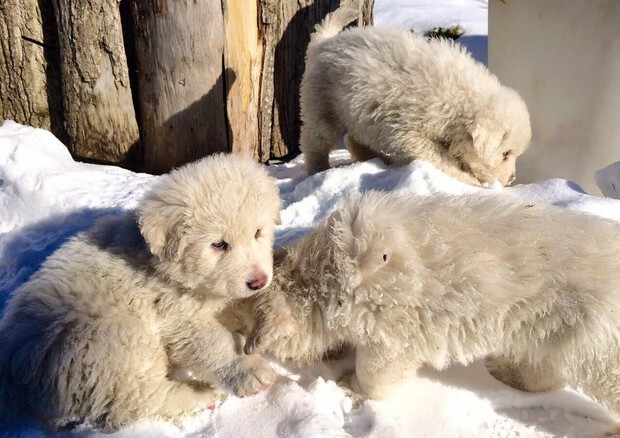 The puppies were said to be in good health after almost five days buried in freezing snow. The dogs are a local breed, Abruzzo shepherds. 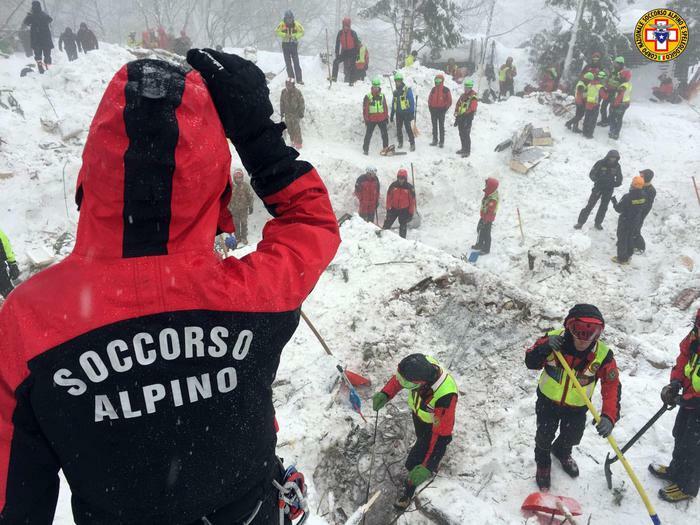 (ANSA) – Pescara, January 23 – The father of one of the 23 people missing after an avalanche hit the Hotel Rigopiano in Abruzzo last week said Monday that the victims of the disaster had been “killed”. “Those who died were killed,” said Alessio Feniello, the father of 28-year-old Stefano Feniello. “They were held against their will because they wanted to return,” he added, referring to the fact that the guests could not leave as the road to the hotel had not been cleared of snow. “They had their suitcases ready. They brought them all together near the fireplace like meat”. Stefano Feniello’s girlfriend Francesca Bronzi was rescued and is in hospital in Pescara. Pescara investigators are probing why appeals for help from the hotel before and after the avalanche were apparentely underestimated. Listen to the news report and fill in the missing words. These are _________ (1) from inside Hotel Rigopiano. Overnight it was devastated by an avalanche. Rescuers are scrambling for ___________(2). At least 20 guests and seven staff were believed to be in the ____________ (3) at the time. Hotel Rigopiano is in the village of Farindola in the Abruzzo Region. Four quakes hit area in the span of just four hours. ____________(4) the most powerful with a magnitude of up to 5.7 striking 18 kilometers west in Montereale. Hours later, a wall of snow and debris hit the hotel, leaving only the roof of the four story building visible from above. Italian news reports said that some __________(5) sent text messages to emergency numbers saying they were trapped inside. Early morning Thursday, two people were __________ (6) outside the building. They were taken to hospital, one suffering from hypothermia. But efforts have been hampered by unusually severe winter _____________ (7). One official said up to five meters of snow had fallen in recent days. Blocking roads and making it thus far _____________ (8) for ambulances to reach the hotel. English Training ti offre la possibillità di preparare per ottenere comodamente una certificazione di lingua inglese per i Livelli A1 – A2 – B1 – B2 – C1 – C2 secondo il Quadro Comune Europeo di Riferimento per le Lingue (CEFR). Attraverso una serie di attività didattiche interattive e multimediali potrai migliorare e mettere alla prova le tue abilità linguistiche. Tutte le esercitazioni contenute nei programmi sono finalizzate al raggiungimento dell’obiettivo finale: la certificazione del tuo livello di conoscenza della lingua inglese.